Acme Parking Lot Striping is a Washing DC paving contractor that provides complete commercial and residential paving services for asphalt and concrete protection, replacement and repair. 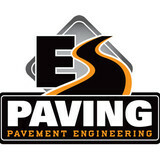 Nova Paving Industries is a paving contractor serving the Gainesville, VA area since 1990. 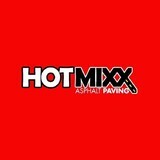 Services include Paving, Asphalt Paving, Patio Construction, Walkway Construction, Resurfacing, Sealcoating, Crack Repair, Commercial Paving, Concrete Installation, Brick & Paver Installation and Cobblestone Installation. Serving towns of Woodbridge, Fairfax, Manassas, Springfield, Herndon, Sterling, Centreville, Vienna, Reston, Burke, Leesburg, Ashburn, Warrenton, Chantilly, Dumfries, Fairfax Station, Great Falls, Clifton, Oakton, Purcellville, Bristow, Bealeton, Gainesville, Nokesville, Triangle, Haymarket, Marshall, Catlett, Round Hill, Hamilton, Middleburg, Midland, Remington, The Plains, Jeffersonton, Sumerduck, Broad Run, Aldie, Delaplane, Goldvein, Catharpin, Upperville, Paeonian Springs, Calverton, Occoquan, Casanova, Rectortown, Arcola, Brambleton, Broadlands, Dale City, Dulles, Hillsboro, Lake Ridge, Lincoln, Manassas Park, Merrifield, Montclair, Morrisville, New Baltimore, Oak Hill, Orlean, Philomont, Potomac Falls, Prince William, Prince Wm, Ruby, Somerville, South Riding, Southbridge, Stone Ridge, Sudley Springs, Sully Station, Vint Hill Farms, Vint Hill Frm and West Springfield. From installation to repair, Annandale, VA driveway contractors are responsible for a variety of planning, installation, construction and driveway maintenance services. Driveway installation. Before work begins on a new or replacement driveway, your professional should create plans based on your needs and material choices, as well as your property grade, soil and other Virginia landscape factors. When it comes to the actual driveway construction, driveway contractors are responsible for preparing the site, obtaining the necessary materials, making sure a strong foundation is laid, operating equipment and heavy machinery, and cleaning up the site afterwards. Driveway materials. While most driveway contractors in Annandale, VA primarily work with asphalt, they are also experts on the wide range of available driveway materials. If you are looking for something different than a standard asphalt driveway, your pro can help you select driveway pavers or customize a brick driveway design. 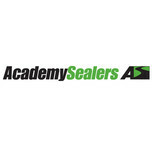 A driveway installation and maintenance professional may work closely with an Annandale, VA builder, landscape professional or various manufacturers and suppliers. Find an Annandale, VA driveway installation and maintenance professional on Houzz. 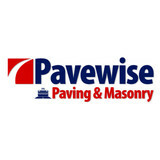 Narrow your search in the Professionals section of the website to Annandale, VA driveway installation and maintenance. You may also look through Annandale, VA photos to find examples of driveways that you like, then contact the professional or contractor who worked on them.